Thunderstorms with heavy rains raised the level of the river this afternoon by about 4 meters, flooding a wide area including the train tracks near our station, barns and ruins on our land and our neighbors and also for the first time our entire vegetable garden. Sadly, much of the work we did lately has become undone. 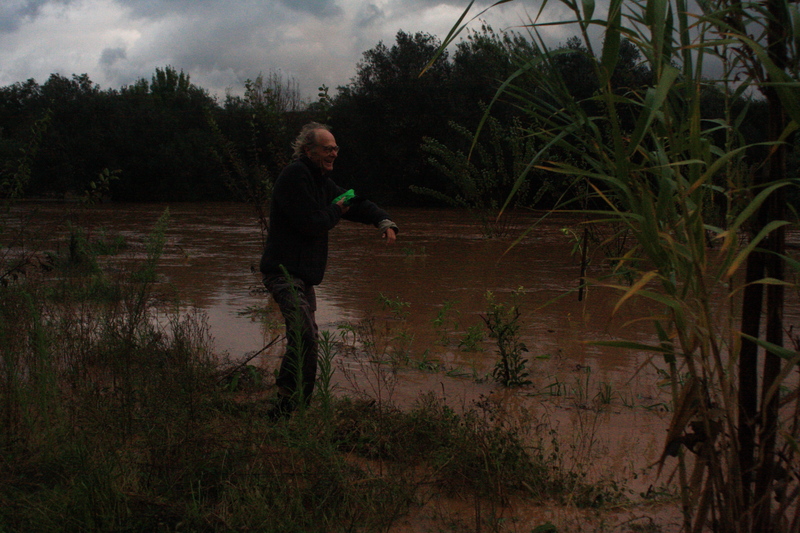 I never imagined the water could rise this high. It looks so easy but try to do it correctly for more than a few seconds and all those Yoga asanas are real challenges. Dr Weil wrote today about studies of 650,000 people showing that exercise like Yoga increases your lifespan by up to 7.2 years. So it is for our own good that we allow ourselves to be slightly tortured during morning class by following the instructions of our Yoga teacher Dominika. We love the natural taste of the healthy vegan cakes or experimental cakes as Dominika calls her creations without sugar, butter, milk and eggs. Today we enjoyed cookies in the morning tea break and a few hours later an amazing apple pie topped with a candle for my birthday. 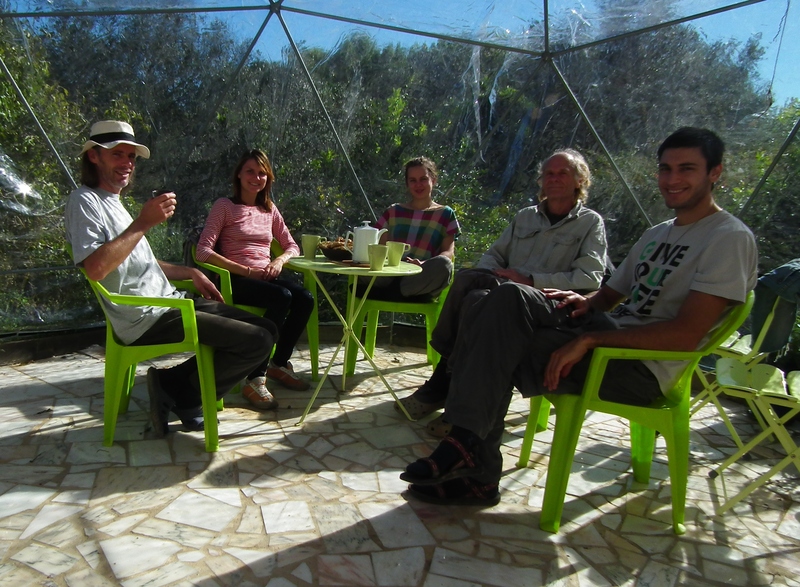 Also in the picture (center): Astri who just arrived from Norway in search of a Permaculture experience. Or like Pinocchio. 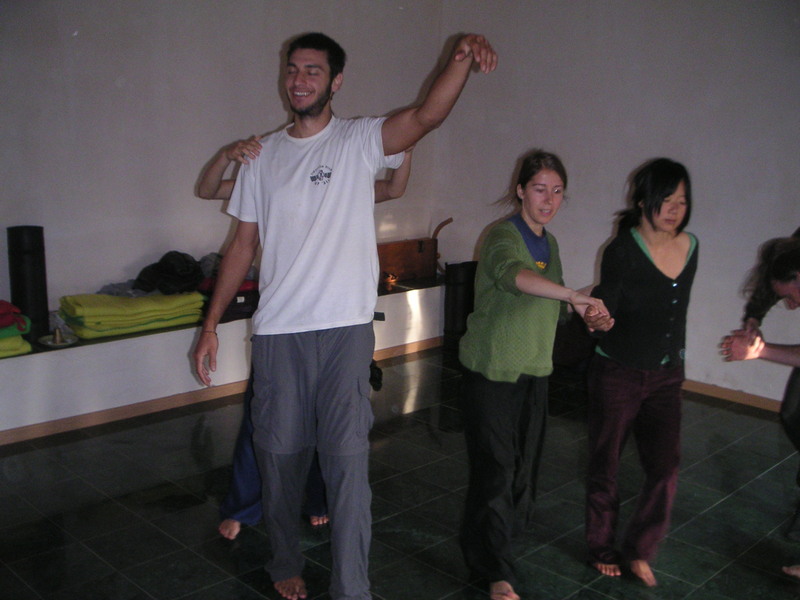 Yentl, a dancer from Belgium who is visiting Osho Garden is teaching us her combination of Yoga, massage, movement and dance in the 7 am morning class. The Osho Garden project is still evolving, and in unexpected ways. The reconstruction of our house takes more time and the experience weeks are delayed until facilities are ready, now expected early next year.